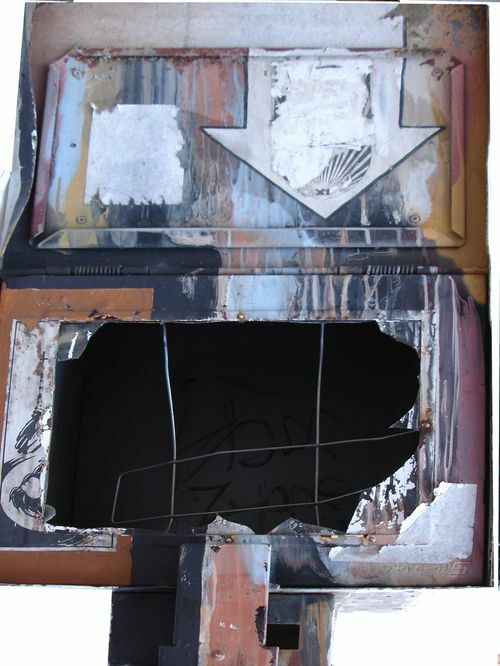 It was a newspaper box, vandalized and burned. I want to use it for my next book. Do you think it's less recognizable now? I think it’s perfectly recognizable except for the bottom part – I can tell it’s open, but the white bits on the sides at the bottom are confusing.